Why Buy Here . . . Welcome to Toyota of Bozeman. Since we first opened our doors, we’ve made it our business to offer as many people as possible the best inventory of Toyota vehicles around. Today, we’re proud to say that we have one of the largest volume of new and pre-owned Toyota vehicles in the state. You’ll find twice the used vehicle inventory of local used car lots. We’re proud to serve Butte, Billings, Helena, Manhattan, Livingston, and beyond. We offer more than just selection at Toyota of Bozeman, though. Our customer service is second to none, and our best price policy ensures that you’ll always get a great deal. The best price policy means that the price you see on the car you want is always marked at the lowest, most competitive price we can offer, so you’ll never have to worry about the anxiety of haggling for a good deal. What’s more, we’ve got competitive financing on offer through our finance department. 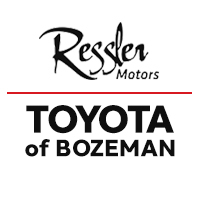 At Toyota of Bozeman, our team has built their lives in Bozeman and the surrounding communities. Our motto is: “Community Born – Community Driven.” This commitment to the people and places we serve is reflected in our ongoing involvement with support to organizations like Thrive, the MSU Library, the Montana State Boys & Girls Club, and many more. Our sales, finance, service, and collision center teams look forward to taking care of all of your automotive needs and desires. Make your way to our dealership Monday through Saturday at 8476 Huffine Lane in Bozeman, MT. We can’t wait to meet you.